Tickets to the hottest concert tickets in town can seem impossible to grab. Sell-outs happen in minutes. If you hesitate, you'll find yourself out of luck and streaming an album at home instead of catching your favorite artist live. We'll walk you through how to get tickets to the concerts you want to see — and save some cash while you’re at it. Knowing when shows are in town is the first step to getting concert tickets, but it can be hard to keep up with everything that’s scheduled. Signing up for mailing lists or following your favorite artists on social media can help keep you in the loop, but it's still easy to miss things. What you need is an app that does the work for you. Apps like Bandsintown, Spotify Concerts and Songkick let you browse coming events and follow your favorite artists so you’ll always know when they're coming to town. Once you know a must-see concert is heading to town, you need to find out when tickets will go on sale. Hot tickets can sell out fast — in minutes or even seconds — and you need to be ready to click Buy the moment the sale begins. Set a reminder on your calendar or phone so you won’t forget when it's time to head to your computer. It's not enough to know when tickets will go on sale; you also need to know where to find them. Will they be available through a major seller like TicketMaster, or will you have to buy them directly from the event venue? Be sure you know exactly where to go. If there's a specific link for ticket sales, bookmark it so you can get to it quickly when the time comes. Know the rules. Each ticket seller works a little differently. Knowing what to expect can save time making your purchase, and even a tiny bit of time could mean the difference between a ticket and a “sold out” screen. Before sales time, look up the ticket seller's FAQ or how-to page so you're familiar with how the ticket-buying process works. Make an account in advance. No matter which ticket-buying service you're using, make an account there before the sale so you can log on and be ready to buy immediately. Enter and save your credit card information in advance, if possible, to help you zoom through checkout. Get the app. Don't like being chained to your desktop computer in order to buy concert tickets? Most ticket sellers have apps that let you buy on the go. Sometimes these apps are the easiest, fastest way to snag tickets. If your ticket sales service has its own app, download it and set it up so you're ready to buy no matter where you are. Watch for concert deals. If it’s deals you’re after, you’ll find plenty of choices, although you'll be less likely to see the hottest acts. Our favorite places to find discount tickets are daily deals sites Groupon and Living Social. 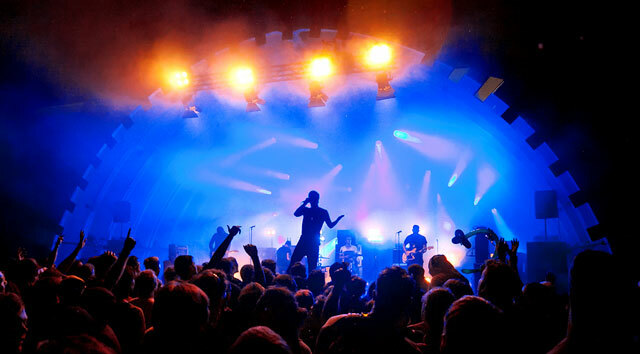 Both offer a great selection of deals on concerts, and though you won't find discounts on every concert, you'll always find a variety of great shows at good prices. Consider other seating for savings. Your heart may be set on front-row seats, but besides being hard to get, they come with a big price tag. Consider seats in the balcony or mezzanine, which often offer better views than seats at the back of the orchestra at significantly lower prices. Take a look at pricing in other sections to see how you can save by moving to a different section. Beware of service charges. Big ticket-sales sites usually tack on sizable service charges that ratchet up ticket price totals. For some events, you won't have a choice of sellers, so you'll have to accept whatever fees exist. For other events, you may be able to buy cheaper tickets from a different seller. Check to see where you can buy tickets and what the fees are on each service. The cheapest way to get your tickets is usually through the venue itself; call the box office and see if you can buy directly. Don't wait! Though this may be obvious, it bears repeating: Don't wait to make your purchase if you know you want tickets. Even if a concert doesn't sell out immediately, if you spend too much time contemplating the deal, the seats you want will be gone. Try to get in on a presale. The absolute best way to get the concert tickets you want is to buy them before they go on sale. Almost every concert makes tickets available to specific groups before they're available to the general public, and there are plenty of ways to get in on these sales. Look for fan clubs, venue organizations, radio stations, and credit card deals. If you can get access to early sales, you can snap up your tickets and hit the snooze button on the actual sales day. Reload until you find tickets. When you’re trying to buy tickets for an event that’s likely to sell out in minutes, a browser add-on that automatically reloads the shopping page will help the Buy button pop up as soon as it's available. These add-ons can automatically reload pages on a timer you set — perfect for snagging concert tickets. We like Super Auto Refresh for Chrome, ReloadEvery for Firefox, Auto Refresh for Safari, AutoRefresher for Internet Explorer or the webpage Refresh This if you prefer not to install an add-on. Set them up and turn them on before ticket time to get a jump on sales. Only buy as many tickets as you need. Trying to snag extra tickets for friends could work against you. Not only do most ticket sellers limit the number of tickets you can buy, but as tickets sell out, trying to buy larger quantities becomes more difficult. Buy only as many tickets as you absolutely need. If you have a friend who might want to come but hasn't committed, it could be best to skip trying to purchase the extra ticket. Watch the clock. After you click Buy, you're on a strict timeline. Ticket sites give you a set amount of time to complete your transaction, sometimes only a couple of minutes. It's plenty of time to enter your credit card information and click confirm, but it's probably not enough time to call friends and find out if they want to come with you. Move too slowly and your coveted tickets will be gone. Don't give up if the show is sold out. When you see a show listed as sold out, your first response may be to walk away. But don't give up just yet, because "sold out" doesn't always mean truly sold out. When someone clicks Buy, the ticket sales site sets those tickets aside while the buyer fills out credit card information and completes the transaction. But not every buyer decides to buy, so when the timer runs out, the tickets become available again. Stick around and keep reloading; you may still be able to get your tickets. Beware of scams. If you miss getting tickets, chances are you can still find them online through third-party resellers if you're willing to pay the high prices, but beware of scams. While plenty of legitimate tickets go up for sale this way, you’ll also come across many fraudulent tickets. Use reputable ticket sellers that guarantee the transaction and will replace the tickets or refund your money if there's any problem. Try StubHub, TicketsNow, Vivid Seats and even TicketMaster, which now offers verified resold tickets. While you can also find deals on sites like Craigslist, the guarantee offered by the big resellers can give you real peace of mind. Sometimes buying resold is the best way to get tickets. It can be hard to make time to sit at your desk and endlessly reload a sales page, and even then, you won't always actually get the tickets. Going through a ticket reseller can be the only practical way to buy — and that's not always a bad thing. In addition to skipping the (virtual) ticket line, you'll probably have your pick of seats. You'll probably never find reasonably priced Beyoncé tickets, but sometimes tickets are priced near or even under the original retail price. If you're looking for tickets at the very last minute, resellers are even more likely to sell them at seriously discounted prices. Ticket prices are becoming too much. It used to cost $6 to watch the Beatles. We’re just here for the dresses!!!!!! It’s all about the dresses and scenery.